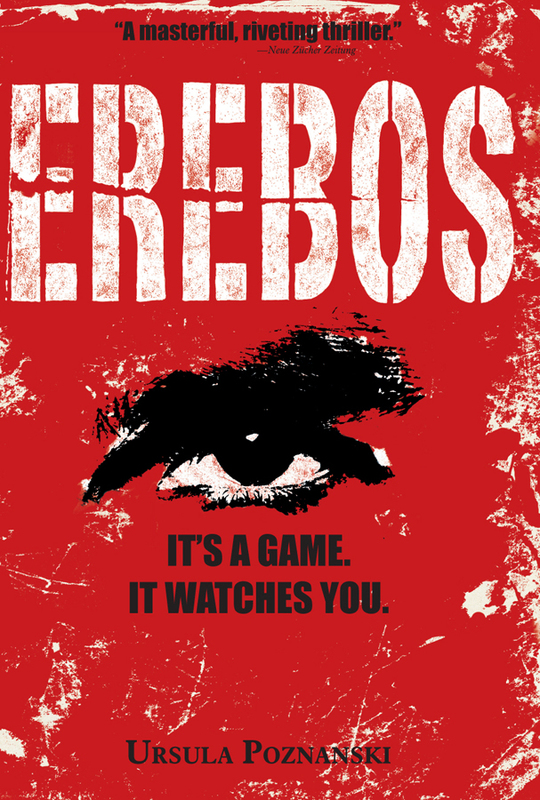 When Nick is approached by a classmate offering a copy of Erebos, a hot new video game, he doesn’t expect much. It looks like a simple game that allows you to design your own character, join in group quests, and fight battles in a lush fantasy setting. Just your average RPG, right? Except there’s something different about Erebos. Something unnaturally addictive. Soon, Nick is obsessively gaming late into the night, plotting ways to gain new experience levels. When his character, Sarius, is mortally wounded in battle, all his hard work seems lost—until a sinister authority figure, the Messenger, offers to help. In exchange for renewed health and energy, the Messenger asks Nick to perform a series of menial tasks—not within the game, but outside in the real world. One day he’s instructed to leave an unmarked package under a bridge, the next day he’s told to take pictures of two strangers in their car. Harmless stuff, right? Except it isn’t. When one of Nick’s delivered packages turns out to contain something highly illegal, he gets scared. What is Erebos, exactly? Is it really just a video game, or something more? More importantly—can it be stopped? As a reader, all I can say is that this international import is truly awesome. The sinisterness of the game is truly creepy, and the mystery of Erebos is intriguing enough to drive the story towards its thrilling conclusion. However, while this novel has the potential to be enjoyed by teens of any age and gender, there are some dark moments in the story that might limit its age bracket to 15 and up, including a scene where one character is accused of assault, and another scene where characters discuss a suicide that happened several years previous. There’s also some swearing and fantasy violence, but nothing graphic enough to mention.